There are many things to love about an Asian adventure. The food, the people and the wildlife are just a few of the items on the holiday checklist that make Asia a favourite destination for travellers from all walks of life. However, the vast number of temples built to honour all different faiths, leaders and people is one thing that is truly unique to this diverse continent. While it’s important to tick off the big ones like Angkor Wat, it’s also pretty special to avoid the crowds and visit some lesser-known temples. Home to the Dalai Lama in the winter months, the Potala Palace in Tibet is dramatically set in the mountains of the Lhasa Valley. The complex is made up of both the White Palace and the Red Palace – both beautiful buildings in their own right, but together they look even more impressive. 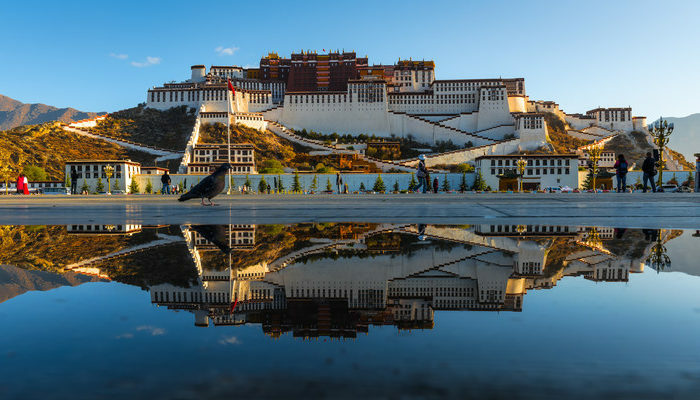 Because of the longstanding connection to the Dalai Lama (who has been spending the colder months there since the 7th century), the Potala Palace is a significant Buddhist monument. If you’re interested in art, architecture and history, the palace contains nearly 700 murals, almost 1,000 painted scrolls, plus sculptures, jewels and plenty more. Not far from the centre of Kyoto, the Chion-in Temple is the main temple of the Jodo sect of Japanese Buddhism. The Jodo sect was founded in 1175 and was seen to be a more accessible and inclusive stream of Buddhism than the existing Amida sect – and it seems to have taken off because Jodo now has millions of followers around the world. 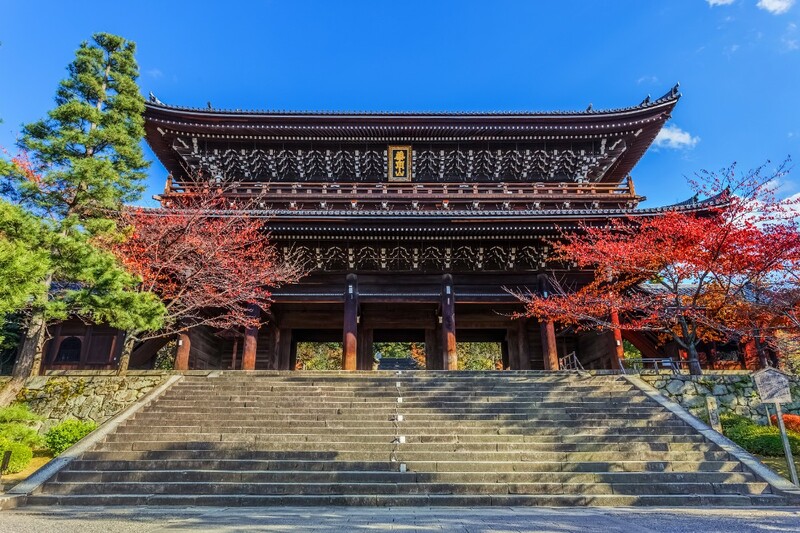 The temple itself sits behind Japan’s largest and most impressive wooden gate, which dates back to the 17th century. What with Angkor Wat and all, it’s pretty hard for any other temples in Cambodia to get a look in. But Banteay-Srei is certainly worth a visit, as it’s a hidden gem in its own right. 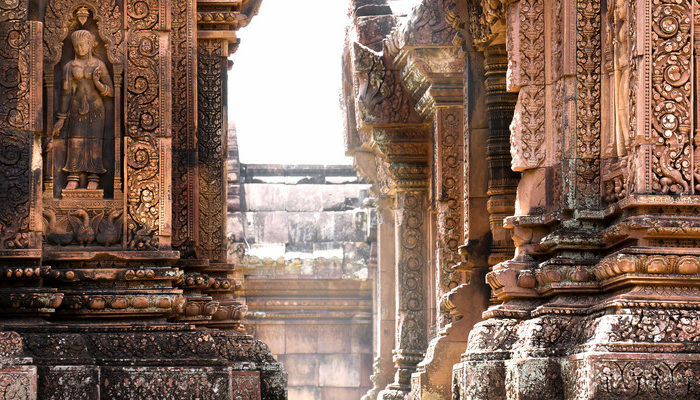 It may be one of the smallest sites at the Angkor complex, but it is filled with art galleries and has some of the world’s best stone carvings. 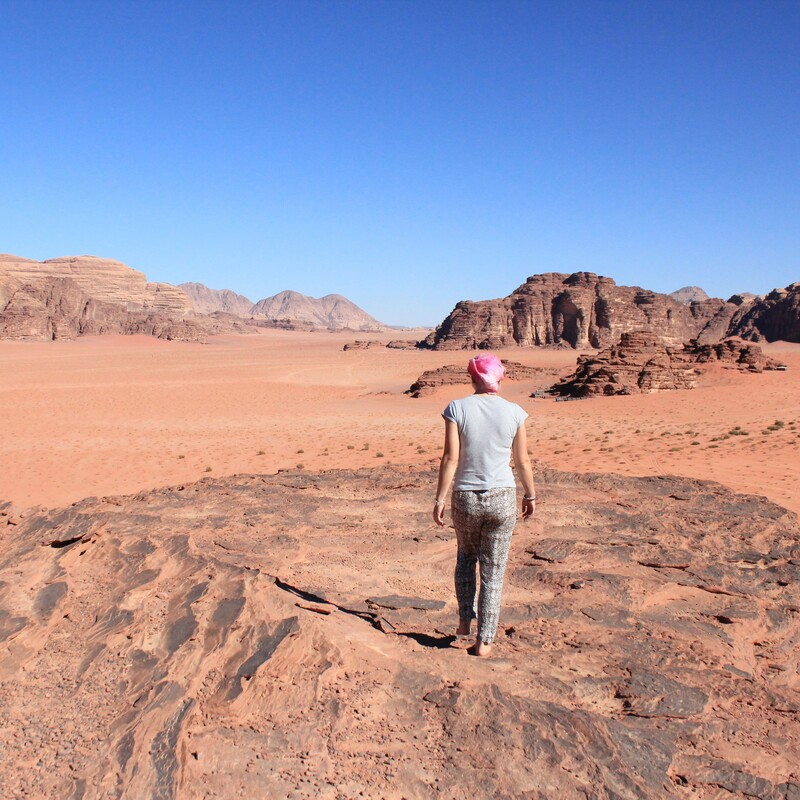 Dedicated to the Hindu god Shiva, the red sandstone walls will not disappoint. Most temples in India are (understandably) overshadowed by the Taj Mahal, but a trip to Lotus Temple is the perfect way to fill in free time in the capital, being only an hour’s drive from New Delhi. The modern temple is made of white marble, and is constructed in the shape of a lotus flower, which is significant in numerous religions (including Buddhism and Hinduism). Designed by Iranian architect Fariborz Sahba, the Lotus Temple is a multi-international award-winning work and is visited by more than four million people per year. For anyone who has travelled to Bhutan, the secret of Paro Taktsang (also known as Tiger’s Nest) is well and truly out – but it still (somehow) doesn’t enjoy the prominence of some of Asia’s larger temples. Because of this, we recommend you head here sooner rather than later before everyone catches on. 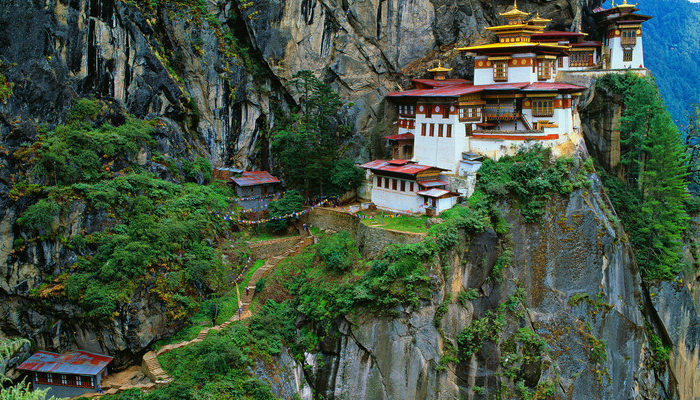 A Buddhist monastery and temple, this stunning complex defies gravity, perched on the edge of a cliff over three kilometres above sea level. It’s a difficult destination to get to because of its remote location, so you may want to book a tour to save yourself any trouble. Is it a place of religious significance or is it art? We think both! The original Wat Rong Khun was completely dilapidated until the end of the 20th century, when a local artist took it upon himself to rebuild the temple to the glorious white building that you can visit today. These are some serious renovations, as they are projected to continue until 2070. Despite being unfinished, Wat Rong Khun is well worth a visit. Do you want to immerse yourself in the diverse culture of Asia? Book a small group tour with Peregrine to avoid the crowds and get your fill of glittering temples.